7014 Green Tee #E Room at the Top!... All Electric 3 bd rm (WOW 3 bedrooms) 2 full baths in this 2 story townhome. Convenient carport parking #11 with 4 storage cabinets and room for bikes. Soaring ceiling in great room with wood burning fireplace, vaulted ceiling to 2nd floor look out balcony. Dining area open to spacious kitchen with plenty of cabinets and counter space, all kitchen appliances included. 1st floor master with full bath and stack washer and dryer on main level. 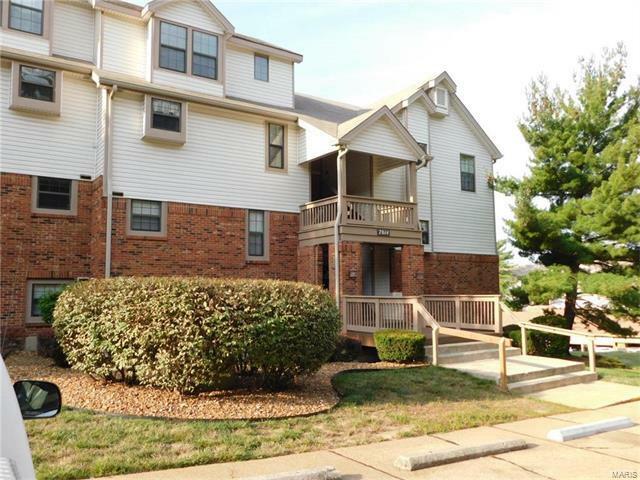 Open 2 story foyer to 2nd master and 3rd large bedroom with another full bath. Large mirrored closets, pantry, utility closet, and storage off deck. Condo fee includes water, sewer, trash, and more. FHA approved complex.